Sorry I have not posted my sundals of the day over the weekend – But I made a black-eyed peas sundal and a pasiparuppu (moong dal) sundal. Today I went green and made a lima beans sundal with a green salad. Yep – following the healthy trend! This turned out to be the most enjoyed sundal. 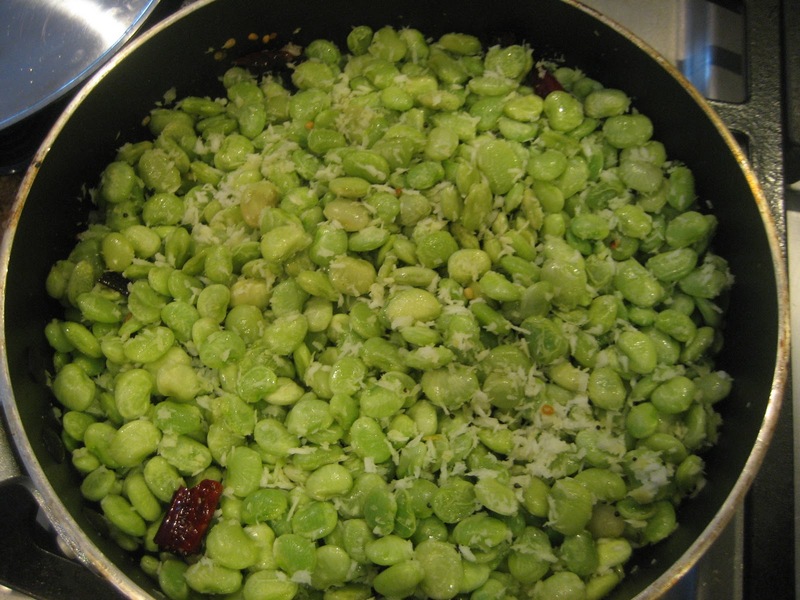 Sundals are no big deal and usually, the simpler kept the better – I used frozen Lima beans – I believe it is mochakottai in Tamil. Slightly dry roast the coconut.